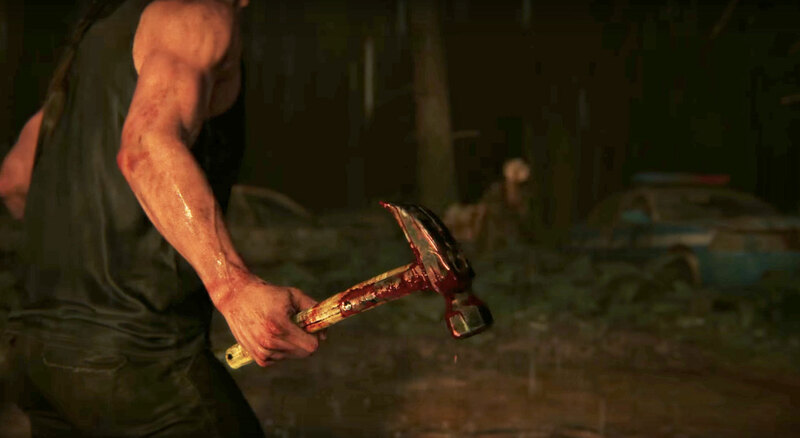 The Last of Us: Part II is a violent game. At least, that's the message Naughty Dog and Sony broadcast this morning when they debuted a new cinematic trailer at Paris Games Week. In the video, a woman is dragged to a campsite where corpses hang from trees, their stomachs cut open and intestines spilling out. By firelight, the captors place a noose around the woman's neck and nearly slice open her own gut -- until one of her allies is caught nearby. The newcomer spits in the face of the camp's leader, who smoothly responds, "Clip her wings." Her henchmen grab a hammer and get to work on one of their captive's arms. The "wings" are a reference to the Fireflies, the game's revolutionary group. Arrows fly, gunshots ring out and the revolutionaries prevail, though there's no sign of Joel or Ellie, the main characters in the original game. Sony has yet to announce when The Last of Us: Part II will land, but when it does, don't expect it to pull many punches.